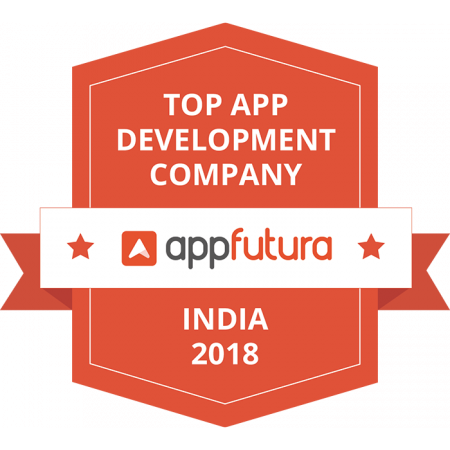 Honoring Intuz' mobile app development superiority, Appfutura has featured the company as a top mobile app development firm in India for 2018. SUNNYVALE, Calif. - April 24, 2018 - PRLog -- Intuz has spearheaded the mobile app development industry since inception and continuing the same legacy has managed to delight in the year 2018, too. Honoring Intuz' mobile app development superiority, Appfutura has ranked the company as one of the top mobile app development company in India. Appfutura has termed Intuz as a market leader in mobile app development landscape. The mobile app developer community platform made a note of the company's diversified experience of serving clients across industry segments. Along with the company's experience, client testimonials and strength of app development portfolio, the promise of being a dependable tech partner helped Intuz in climbing up to the top position in 2018. Intuz has served clients in more than 45 countries in the past decade. Its rich experience in mobile app development, enterprise app development, artificial intelligence, cloud services and mobile app marketing has helped it clinch a strong position in global app development and tech industry. Over the years, it has attained the stature of a dependable tech partner for startups, growing enterprises and established conglomerates. Intuz has focused on passing on the benefit of its global stature to Indian app development services seekers by providing them the best-in-class services at par with international standards. With a strong tech team and focused approach towards app development, Intuz is surpassing other players in the industry. Intuz' clients have benefitted from the expert cloud consulting advisory, mobile app development support and POC development services in the past. Also, an expert app development team convinced Appfutura Research to endow Intuz with an enviable position when it comes to Indian app development landscape. While talking about Appfutura's ranking, spokesperson at Intuz revealed that the company's robust processes and a diversified portfolio have been a crucial success factor. Instead of focusing on a particular segment or industry, Intuz developed apps for several industries including e-commerce, healthcare, F&B, logistics, manufacturing, finance, etc. The vast experience while working with clients across industry segments brought valuable insights that help Team Intuz in delighting clients in India and around the globe. "Being featured in top rankings by Appfutura didn't come as a surprise for Intuz", said a team member while discussing Appfutura research. His statement is justified when someone looks at Intuz' Appfutura profile (https://www.appfutura.com/developers/intuz). Having a five-star-rated profile with glorious reviews speaking highly of Intuz' professionalism, quality and dedication is a major factor that helped Intuz achieve top ranking. A careful analysis of client feedback at Appfutura shows why Intuz has been chosen as one of the top mobile app development company in India in 2018. Appfutura is world's leading community for app developers and companies looking for app development services. Appfutura publishes an annual research of top players in app development landscape by evaluating the developers on the basis of experience, project portfolio, and client feedback. The research covers developers from around the world and grabbing a top position in Appfutura's research automatically increases the credibility of an app development company.